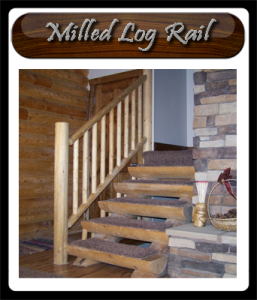 Log railings are available in a wide variety of sizes and textures and they are a virtually essential component of many rustic homes or cabins. They are typically available in two wood species, pine and cedar. Cedar is an excellent choice for exterior applications because of its natural rot-resistant properties. 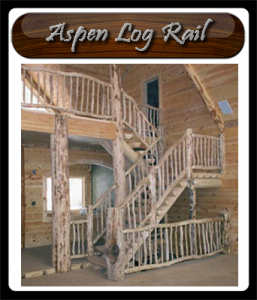 However, cedar log railings are quite a bit more expensive than the pine alternative. 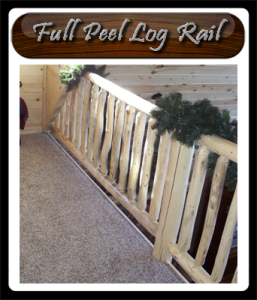 Pine log rails are inexpensive, issue free for interior use and with proper care can last indefinitely in exterior applications as well. If you have the budget you may prefer cedar as a hassle-free alternative, but since most log railings are regularly stained and sealed to keep them looking new anyway, pine works just as well. To put it another way, both cedar and pine will discolor and fade with exposure to the weather, sun and time. Staining and sealing them not only helps to maintain that “new look” but also acts to protect and preserve the wood from the elements thereby basically eliminating the necessity of the natural rot-resistance inherent in cedar. I should mention that both cedar and pine readily accept stain for a beautiful finish in a virtually endless variety of colors. 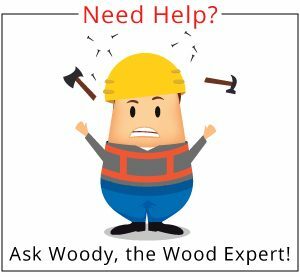 So if you are on a budget you might want to consider saving your money for the inevitable refinishing that any wood product will require a few years down the road. 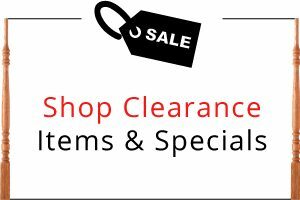 If, however, you don’t mind the weathered look and don’t want the maintenance then cedar is your obvious choice, though it will cost you more up front. Once you’ve decided which wood species you want to use, there are a couple of additional stylistic choices. These basically involve the size and texture of the logs themselves. 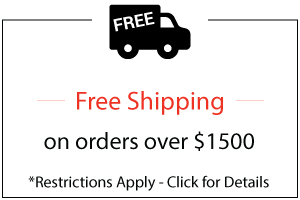 Of course, there are several options which include Milled, Skip or Partial Peel, and Full Peel. These basically vary in how natural the finished product looks. 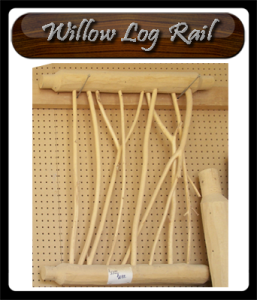 Milled log rails are turned on a lathe to a consistent diameter. 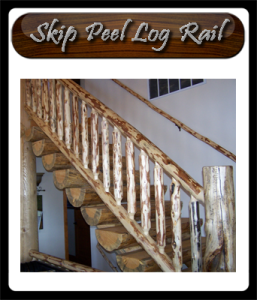 This style gives a more refined rustic appearance as opposed to the slightly more gnarled Skip or Full Peeled logs. Partially peeled log rails are hand hewn to partially remove the bark. The logs themselves are naturally shaped and simply “cleaned up” to eliminate the branches and some of the bark. This leaves a beautiful contrast and a truly rustic appearance. Another option is full peel, again these logs remain their natural shape but all of the bark is removed so that the wood is uniform in color. In addition to these options, you can also choose to have them sanded to a smoother finish.